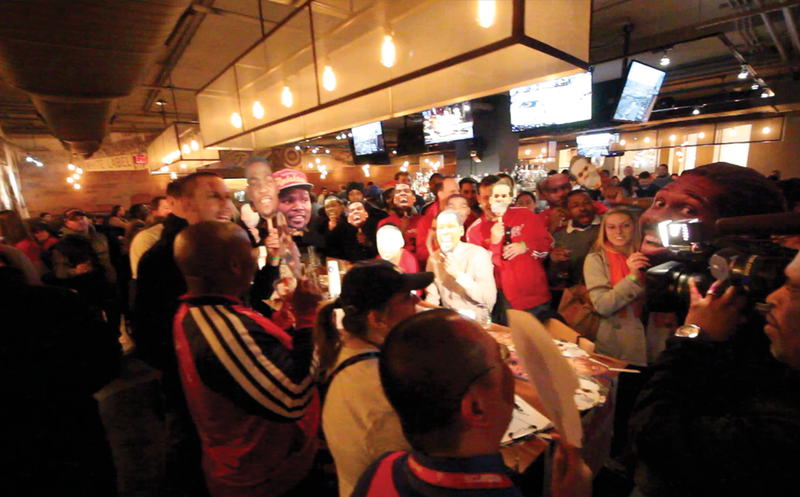 It was a holiday Monday and the Wizards had an afternoon game, so the Wiz Happy Hour crew headed down to Hooters to grab a few big mugs of beer and some wings before the game (Photos). 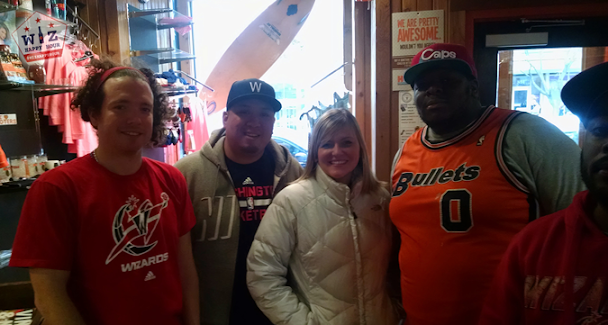 We met up with some of the Wizards fans from Natsfest and talked a little Wizards basketball and a lot of Max Scherzer. We even ran into a few people down from Philly for the game. 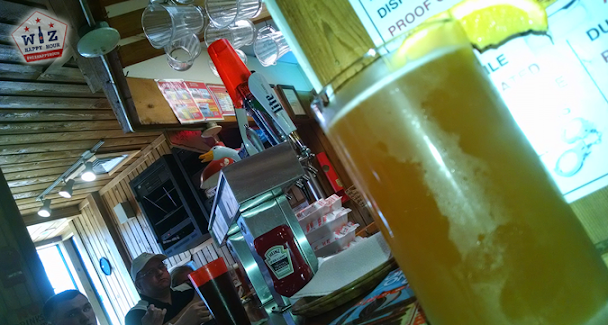 On a typical lunch day, Hooters does not have any specials. The big mugs of beer are nice and the waitresses are nice as well but lots of the happy hour deals around town are much better. But they are in Chinatown and the goal is to hit up every establishment around Verizon Center to give you a review, so Bam! I would recommend this place on Monday (night) pregame for all you can eat wings ($15) although we haven't done this to review it yet. The interesting part about going to Hooters is that this is the hotspot for Wizards gear (and also a hangout for opposing fans). I saw more Wizards clothing items/hats/etc before a 2pm home game at Hooters than we saw at 6 chinatown bars during a Washington Wizards organization fan bar crawl on a Saturday night (not exaggerating). One of the things that made this event even better was that I met a few Sixers fans who had made the drive down to watch their awful team play. 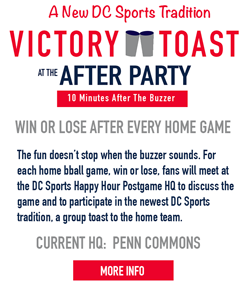 I told them how Wizards fans are making the trip up to Philly at the end of Feb (join us!) and they gave me some bar recommendations. 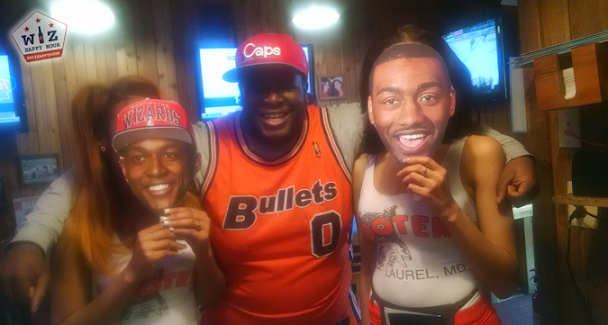 I even offered one fan (who took the awful picture above...come on bro) some free tickets (3 tickets I tried to give away for free went unused...still a sad part about Wizards fandom) but he ended up deciding to stay at hooters...lol.